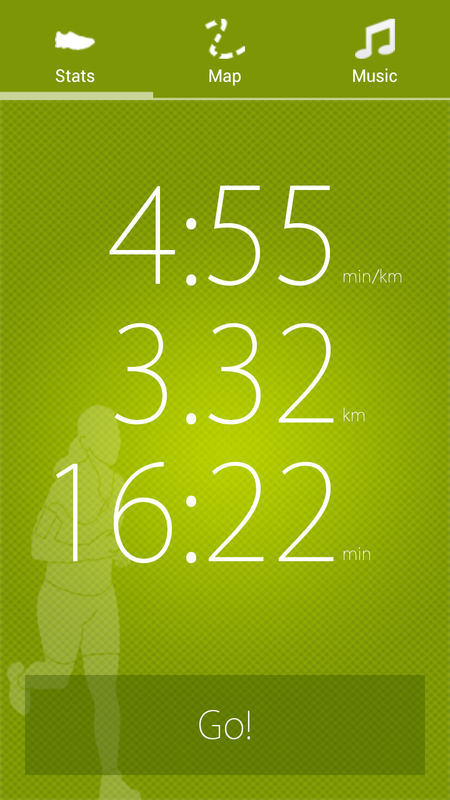 RecordBeater detects your running rhythm and plays music with a matching rhythm. Experience the feeling of running "in the zone" - when the beats from the music matches your cadence! 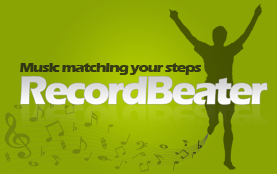 RecordBeater is just updated with a new design, and from the same release it is now also free. 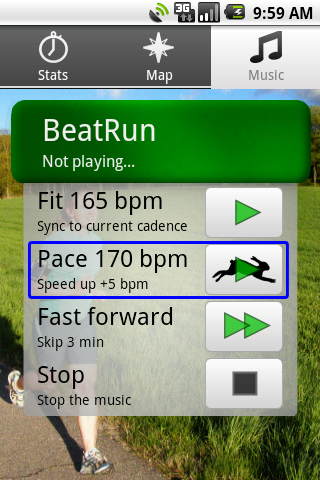 Enjoy running with RecordBeater. Race against your own records! Auto start. 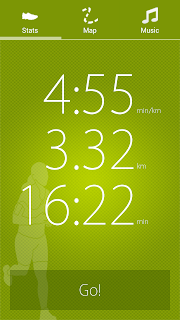 Run and the timer will start. 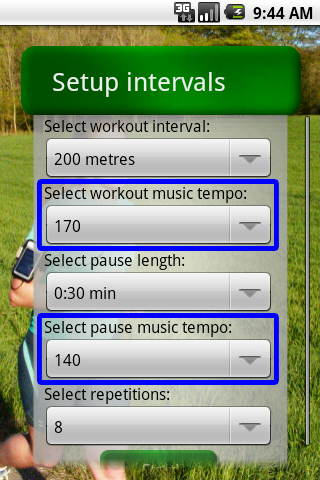 The purpose of RecordBeater is to motivate you to run faster by running to music matching your steps. 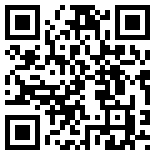 Available on the Android Market. Looking for good running music? Read here! RecordBeater will play the music stored on your phone. 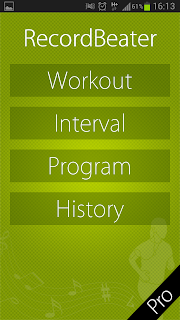 You can workout to your own existing music - or you can download free workout mixes. 130 - 180 BPM in 1 BPM resolution. Go for the fixed BPM mixes. 130 - 180 BPM in 5 BPM resolution. 122 - 165 BPM in 2-5 BPM resolution.